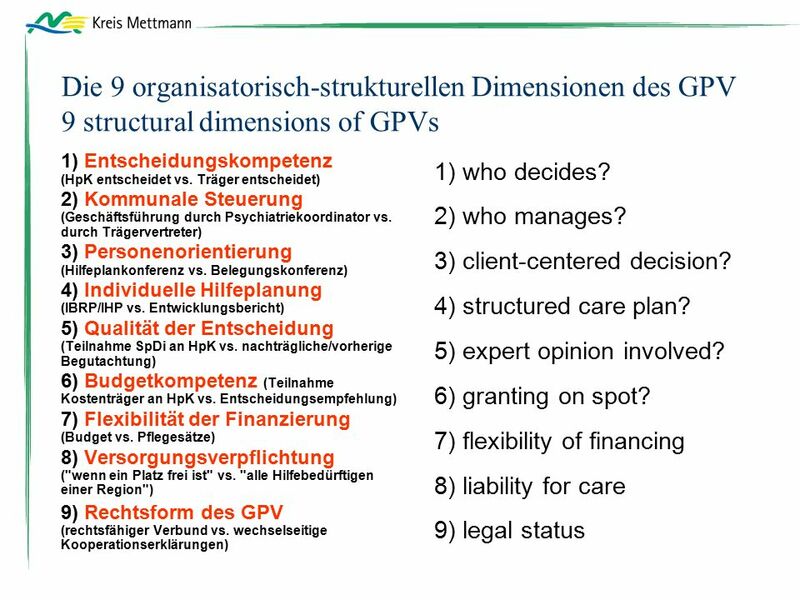 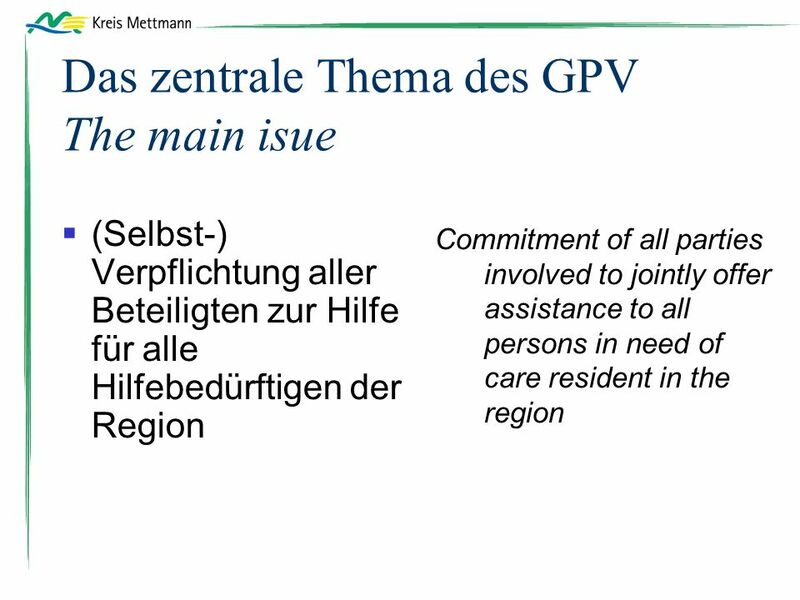 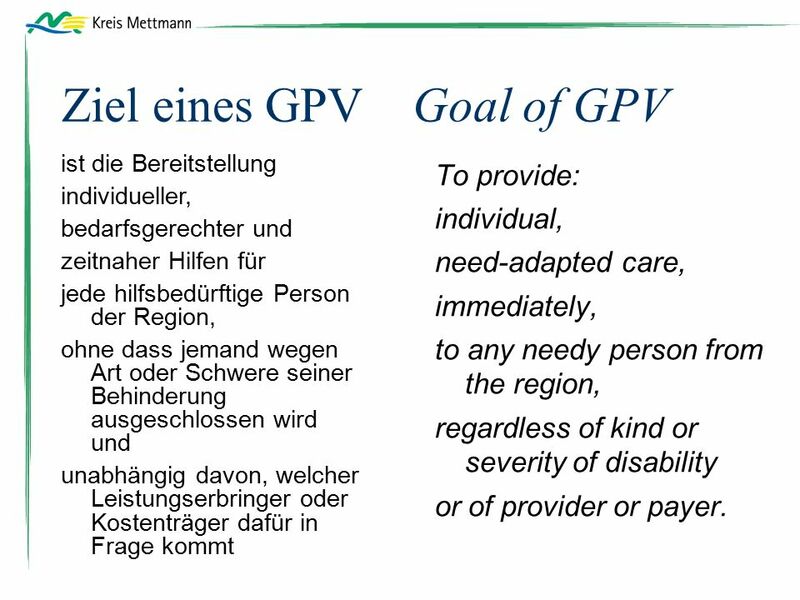 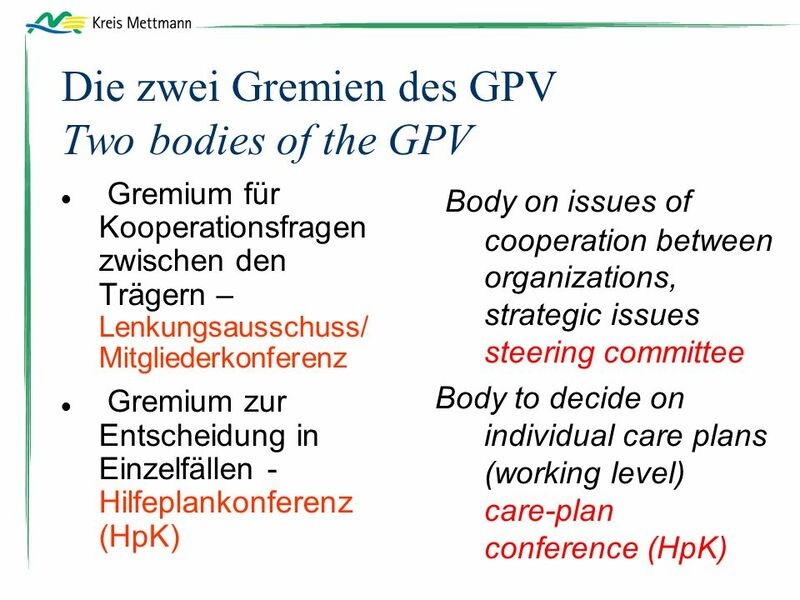 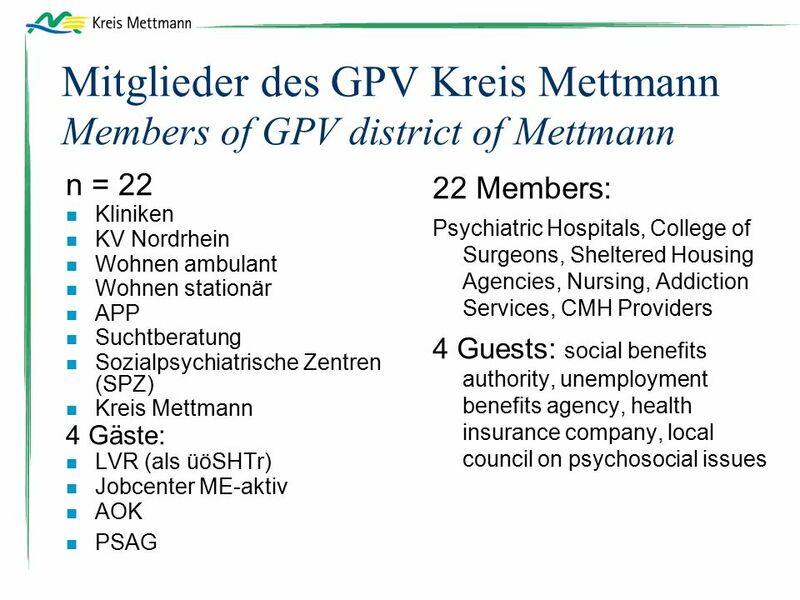 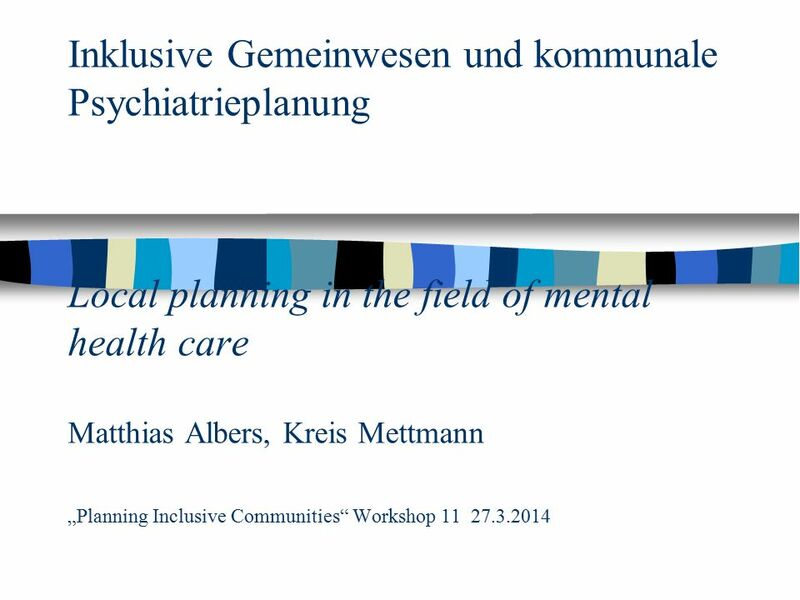 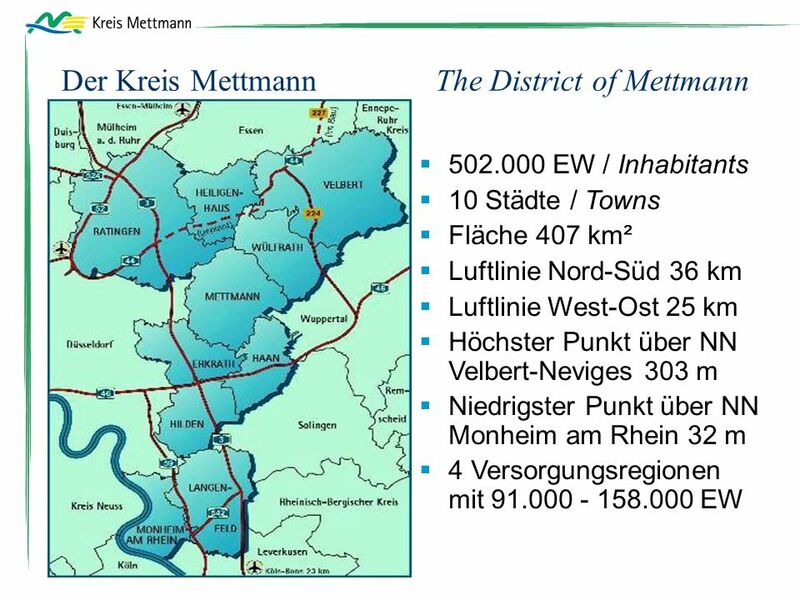 Inklusive Gemeinwesen und kommunale Psychiatrieplanung Local planning in the field of mental health care Matthias Albers, Kreis Mettmann „Planning Inclusive. 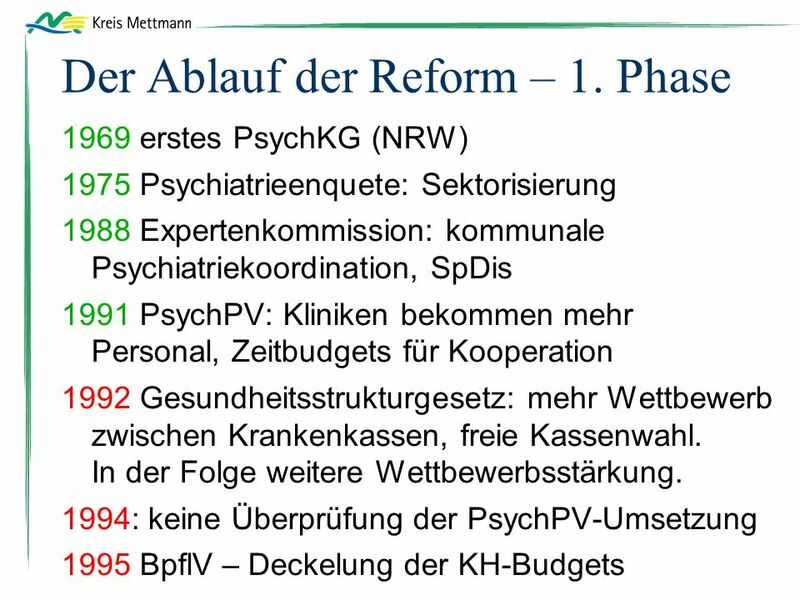 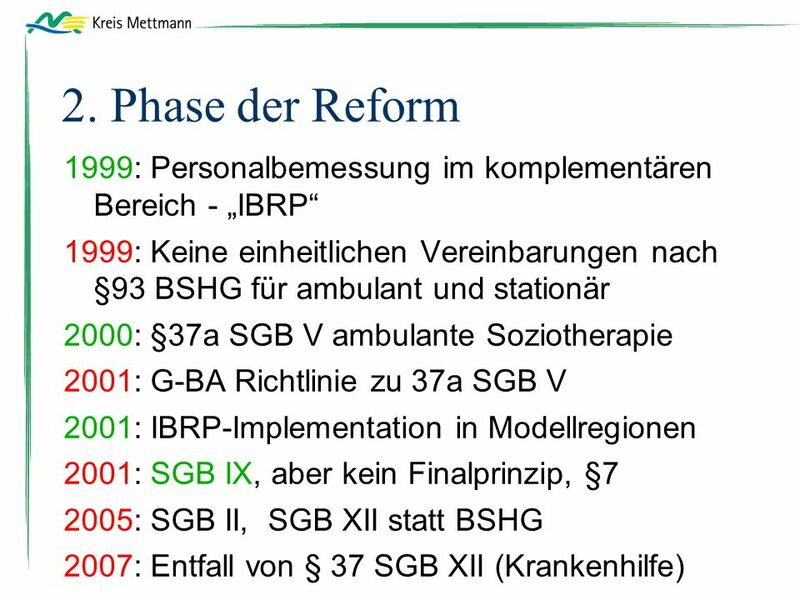 2 AusgangspunktStarting point Nach der Psychiatriereform: „Gemeindenähe“ und Sektorisierung, aber keine Koordination zwischen Gesundheit stationär und ambulant sowie Sozialsystem. 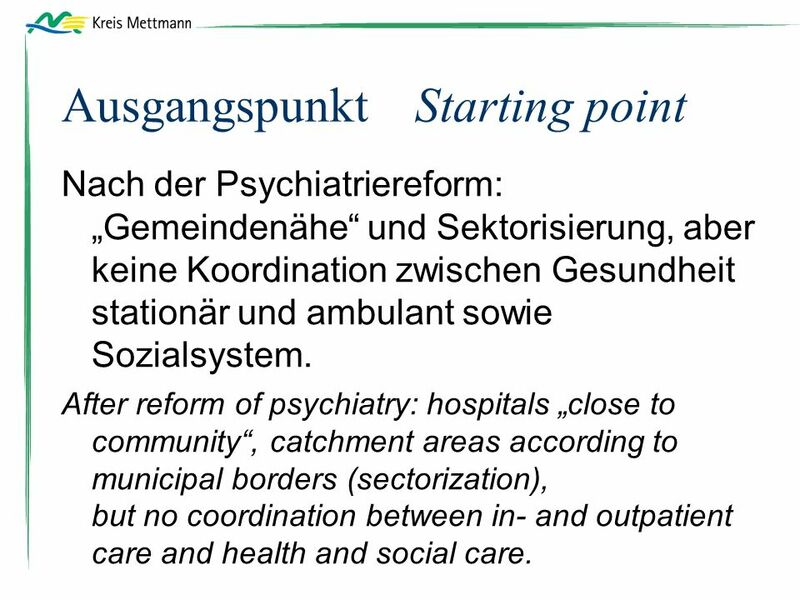 After reform of psychiatry: hospitals „close to community“, catchment areas according to municipal borders (sectorization), but no coordination between in- and outpatient care and health and social care. 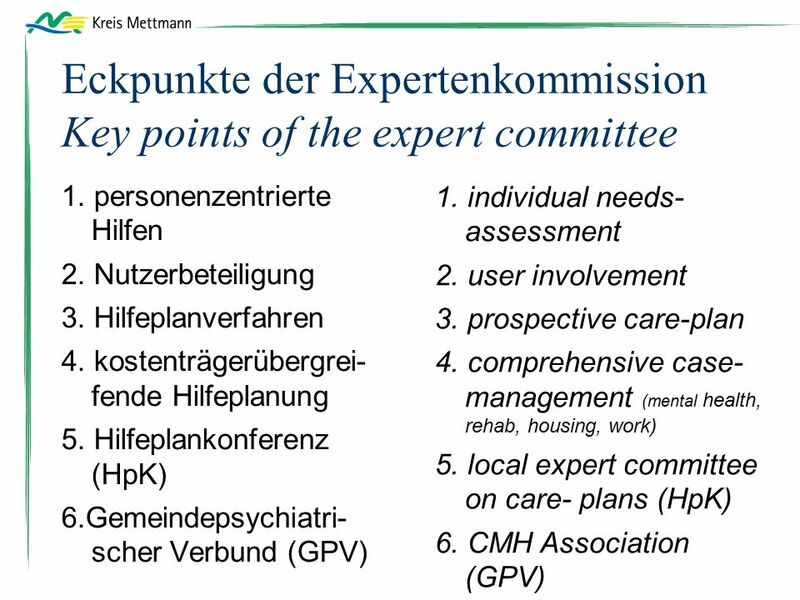 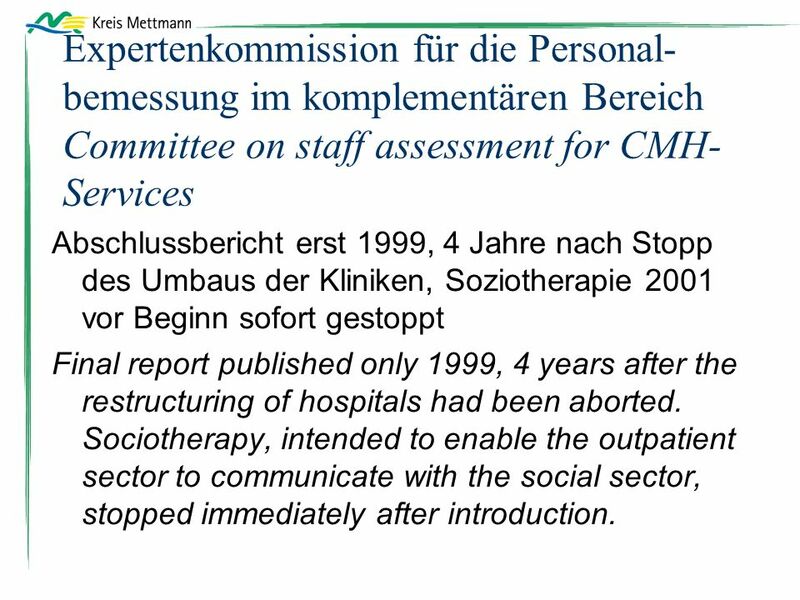 5 Expertenkommission für die Personal- bemessung im komplementären Bereich Committee on staff assessment for CMH- Services Abschlussbericht erst 1999, 4 Jahre nach Stopp des Umbaus der Kliniken, Soziotherapie 2001 vor Beginn sofort gestoppt Final report published only 1999, 4 years after the restructuring of hospitals had been aborted. 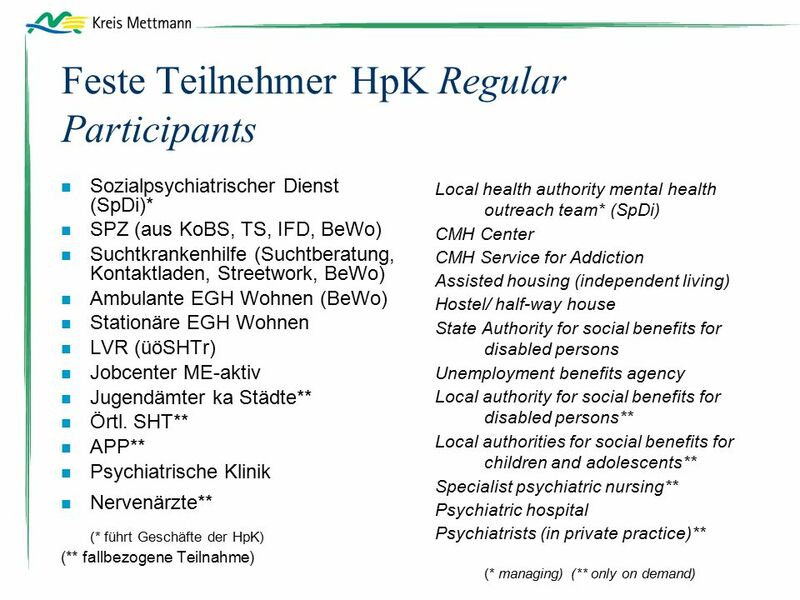 Sociotherapy, intended to enable the outpatient sector to communicate with the social sector, stopped immediately after introduction. 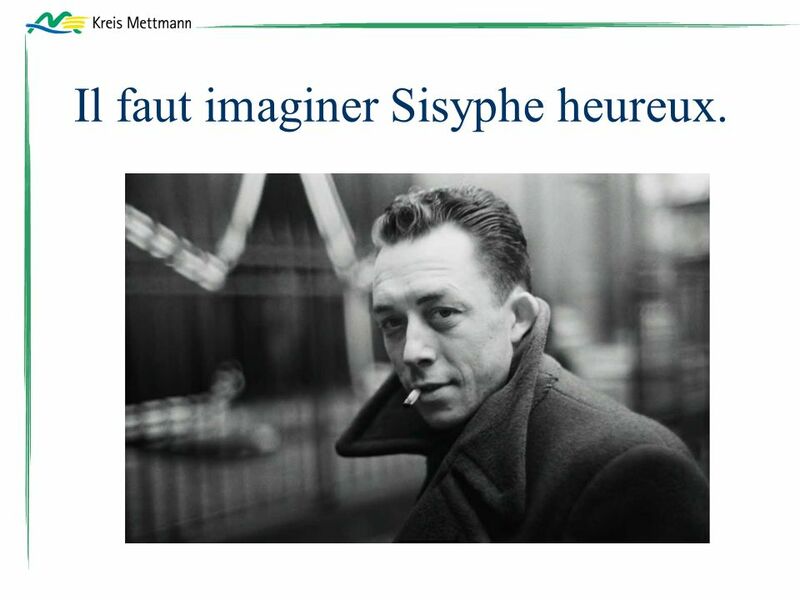 18 Il faut imaginer Sisyphe heureux. 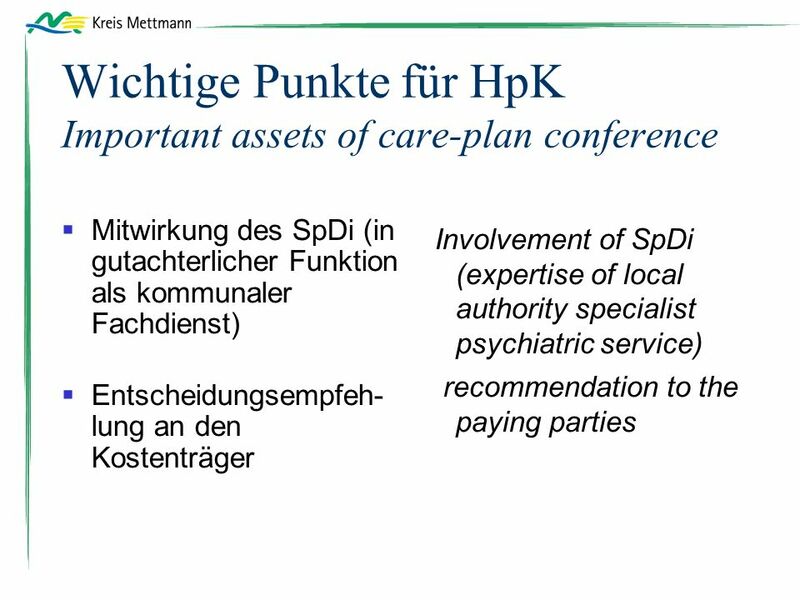 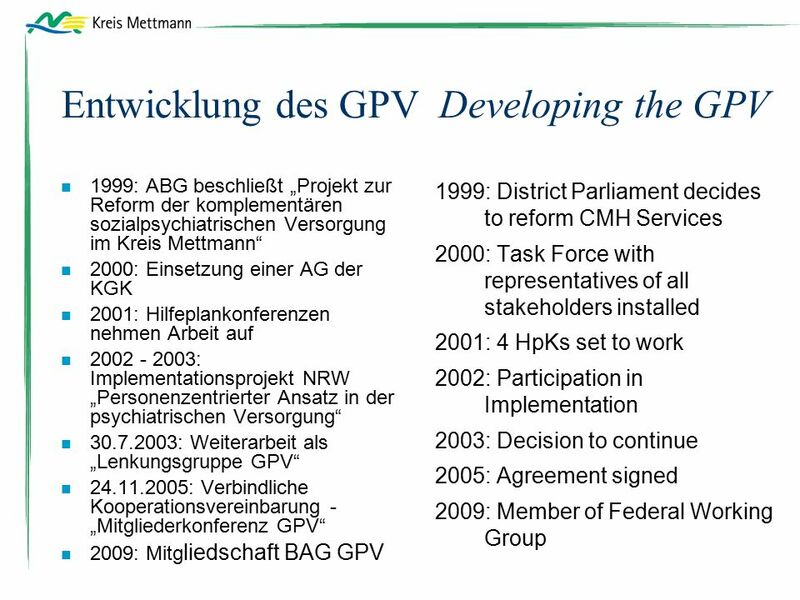 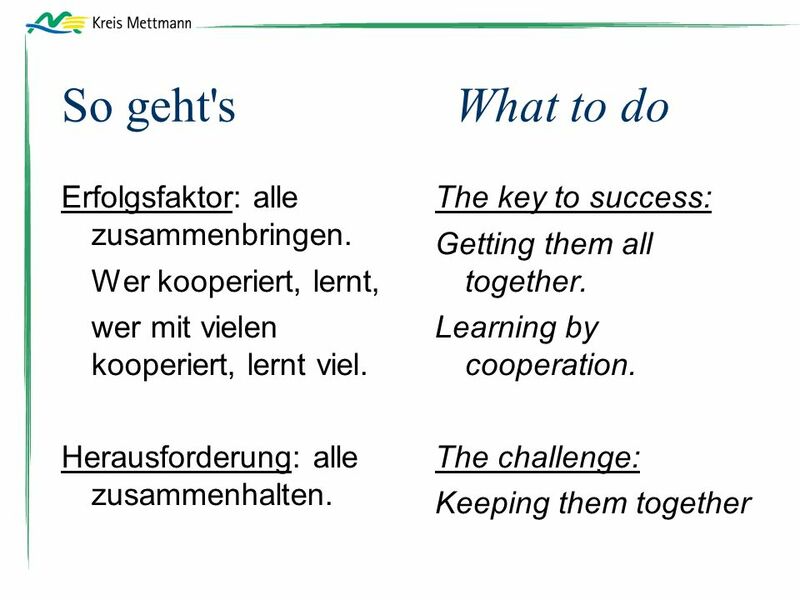 Herunterladen ppt "Inklusive Gemeinwesen und kommunale Psychiatrieplanung Local planning in the field of mental health care Matthias Albers, Kreis Mettmann „Planning Inclusive."